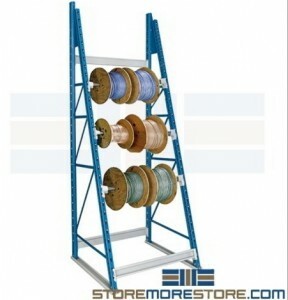 Wire spool racks store and organize packaging supplies, reels of cable, and other rolled materials for quick access. 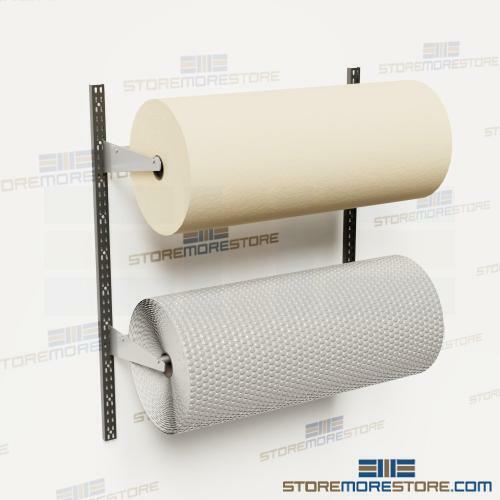 By mounting these racks on the wall, users can simply pull and cut the materials directly from the racks. This is much faster and easier than trying to unspool materials from piles or shelves. It also keeps materials stored off the floor where they can be damaged and reduces the number of times the spools need to be handled. 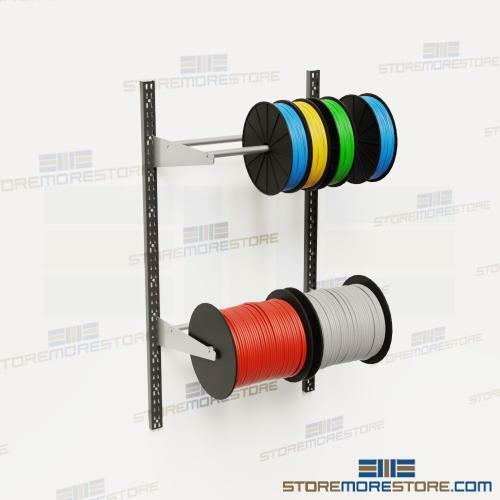 With its wall mounted design, the wire spool racks also save floor space. The wire spool racks are a flexible solution for storing rolled materials up to 21″ in diameter, making them suitable for a wide variety of applications. Store spools of paper, bubble wrap, foam, wire, cable, rope, hoses, filaments, and much more with better organization, access, and visibility. Wire spool racks are available to buy online and ship within 10-20 business days with free dock-to-dock shipping included. If you need any assistance or just want some help picking the right solution for you, please call us at 1-855-786-7667. Incorrect storage of wire spools and cables can cause them to become deformed and damaged. You can store your rolled cables and reels on wire spool storage racks, which will guarantee the safety of spool storage and provide a quick and efficient method of retrieval. Rolled spools generally cannot be stored vertically, as it causes the wire to fall during storage and create miss- or cross-wound wire that can be difficult to unspool and can even break. Multiple wire spool storage should involve a clear separation between the roll layers to prevent damage. The wire spool storage racks completely eliminate these storage concerns and make it easy to store and retrieve spools of wire, cable, chain, hose, tubing, rope, and more. There is no need for the user to lift the spools, which is especially useful for heavier spools of rolled materials. Rolled cables are simply loaded onto the rack’s adjustable axles that offer maximum flexibility for storing all types and sizes of spools. And once you buy your first “starter” spool rack, you can easily add as many add-on units as you want to make a row. 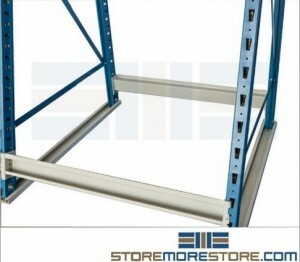 Wire spool storage racks are available to buy online. No professional installers are needed. We are also happy to help you decide which wire spool storage rack configuration would be best for your specific application if you give us a call at 1-855-786-7667.